It was meant to be the early to mid-Summer gathering of the Kildare GAA grassroots, last night (Tuesday June 5), held at the Manguard Plus Centre of Excellence in Hawkfield. Usually a fairly mundane gathering of club delegates and for the time of year was reasonably well attended but for some strange reason no reminder was sent out to the press on this occasion. Strange I mused to myself. Or maybe not I thought on reflection. While, early on, there was a few sparky exchanges between Chairman Ger Donnelly, and Dermot Reilly (stand-in Carbury delegate) a man who opposed the chairman at Convention some years ago but after a major campaign failed to get elected, it was near the end of Tuesday's gathering before the sparks really began to fly when Dermot Reilly addressed the meeting (again), suggesting that as “our next meeting is the first Tuesday in September, at which stage the All Ireland Football Championship will be over, and hopefully we will have to cancel the meeting as we will be still celebrating our All Ireland victory .. but if we don't, there is the possibility that you (chairman) and your management team, may be considering the position of what to do next as regards the retention of the current management team of the Kildare senior team, or replace it. 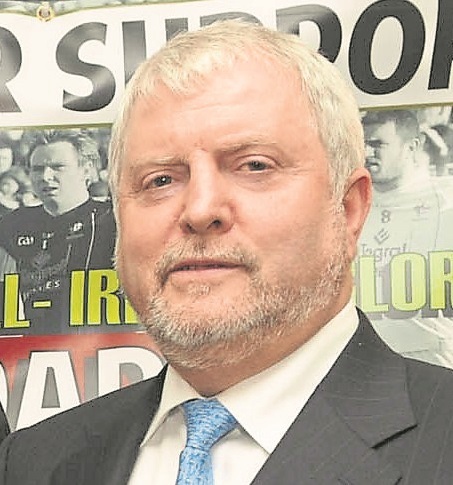 “I think your performance and some of your members, but not them all, has been disastrous; the best thing you can do for Kildare GAA is to resign; I don't expect you will, but I will tell you one thing, I sincerely hope there is a challenge across the board this year because our county is an absolute disgrace. The Chairman again reiterated that when all teams are out of competition, we will, as usual, review the situation. And with that the meeting concluded.